New York City has agreed to pay $5.75 million to settle an inmate lawsuit, the largest the city has ever paid to settle a death of an inmate as reported by the New York Times. Bradley Ballard, a mentally ill inmate, was found naked and covered in urine and feces after being locked in a cell for six days. According to the State Commission of Correction, Ballard’s death could have easily been prevented given the fact that he was deprived of his medication and even running water. Unfortunately, this is just one of numerous incidents involving abuse by New York City Corrections Officers on Rikers Island. In October 2014, the city paid $2.25 million to another family of a Rikers Island inmate. In that case, the mental health unit temperatures exceeded 100 degrees, causing the death of Jerome Murdough, a homeless veteran, a week after he arrived at Rikers Island. Later the following year, 2015, New York City paid more than $5 million in settlements to two families of Rikers’ inmates who died in custody. 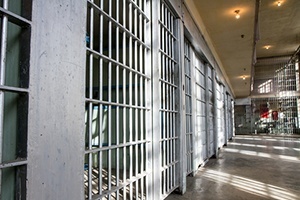 At Downstate Correctional Facility in Fishkill five New York State correction officers were charged with violating the civil rights of an inmate and fraud after the beating an inmate. According to the NY Times and documents filed in the Southern District of New York, inmate Kevin Moore was beaten, kicked, and struck with batons and then left lying in a pool of his blood after talking back to the corrections officers. Officers then locked Moore in solitary as they conspired to conceal the beating. Prosecutors are also looking into another case at the Fishkill Facility that involves inmate Samuel Harrell, and as many as 20 Officers. If you or an inmate you know, has been a victim of abuse and brutality at the hands of New York City Department of Corrections Officers on Rikers Island, you should contact the attorneys at PetersonDelleCave LLP.